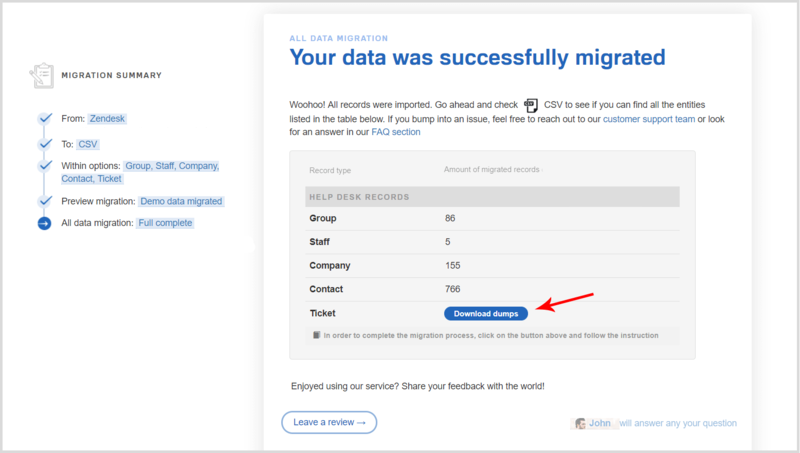 How to migrate your help desk data to CSV? 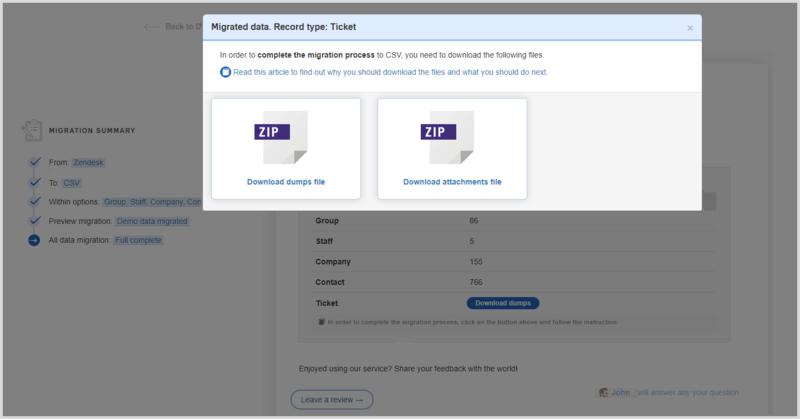 Help Desk Migration allows exporting the data from your help desk into a CSV file in a few easy steps. Currently, our service can export all records except for Knowledge Base. 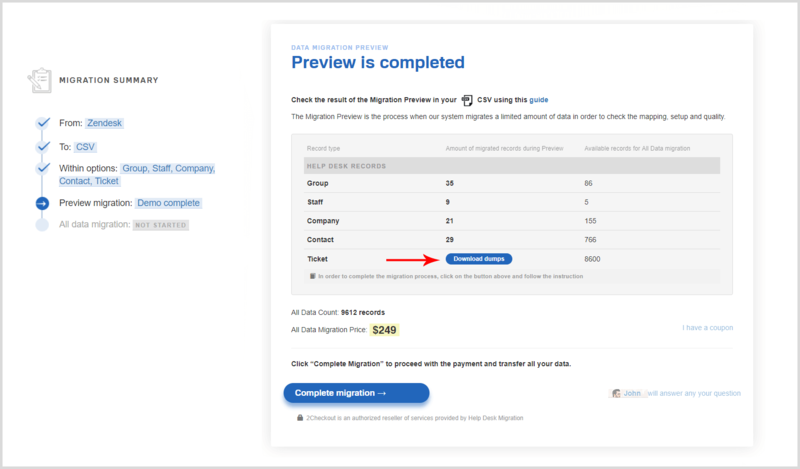 1) Sign in to your Help Desk Migration account. 2) Create a new migration. 3) Select the platform from which you’d like to export the data. 4) Select CSV as the destination. Click “Continue” to start the Demo Export. 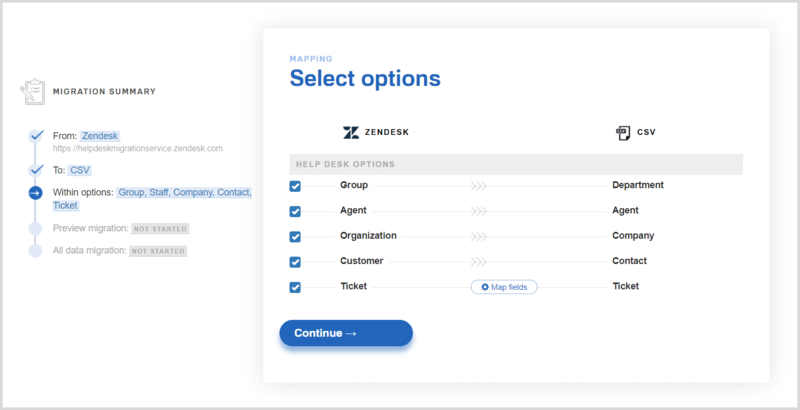 This action will export 20 Tickets with related Agents, Contacts, etc into a CSV file. Once you have the files on your computer, carefully check if the formatting is correct and if there are all necessary columns. Start the Full Data Export if you’re happy with the test files. You can close the tab and go about your day while we export the data from your help desk to CSV. Once the files are ready, you’ll receive an email notification. Or you could occasionally sign in to your account to check the progress of the export.